Australia's government said Wednesday that it will assess the resettlement case of a Saudi woman who fled from her family now that the United Nations has deemed her a refugee, taking the woman's high-profile quest for asylum a step forward. Australia's Home Affairs Department said it would "consider this referral in the usual way, as it does with all UNHCR referrals." Surachate discussed her case on Tuesday with Saudi Charge d'Affaires in Thailand Abdalelah Mohammed A. Alsheaiby. 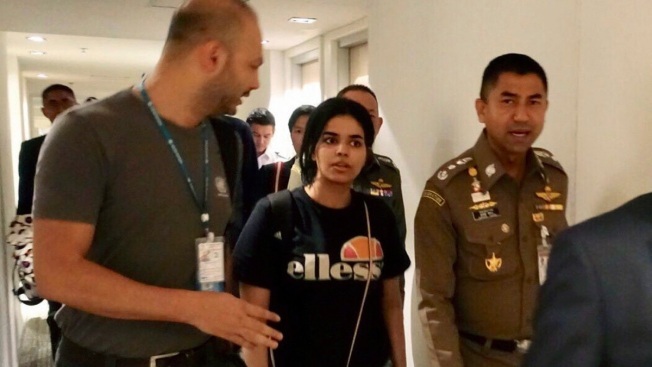 In a video clip of the meeting released by Thai immigration police, Alsheaiby is heard telling Thai officials: "From the moment she arrived, she opened a new account and her followers reached almost 45,000 in a day . And I would have preferred it better if her phone was taken instead of her passport." Associated Press writer Jamey Keaten contributed to this report.